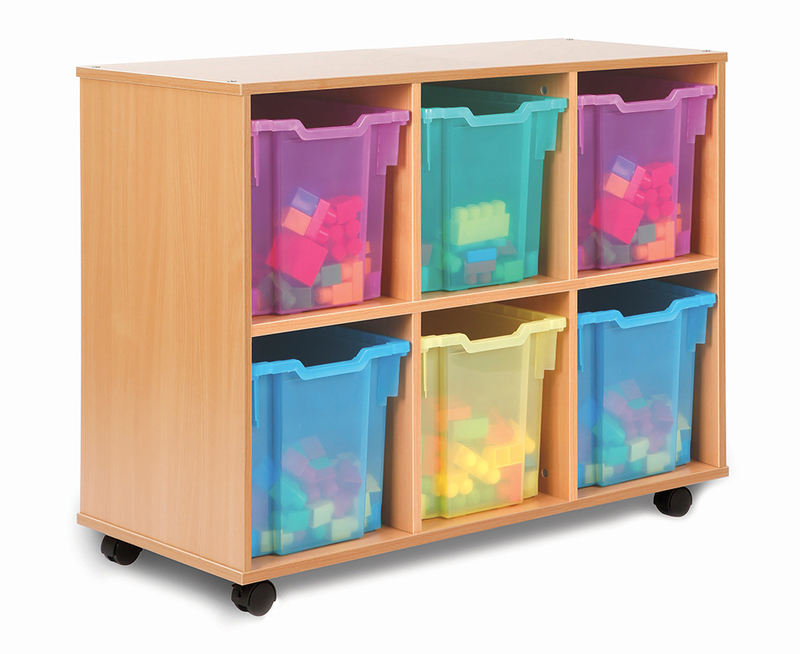 The Allsorts stackable classroom storage unit is supplied with 4 or 6 jumbo Gratnells trays available in 16 eye catching tray colours. 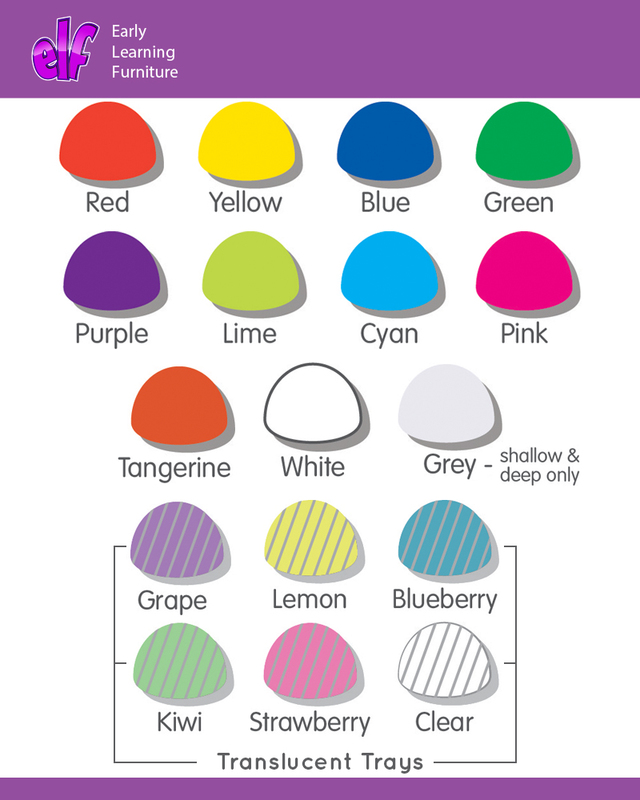 Ideal for storing classroom materials in schools, pre-schools and nurseries. The Allsorts range allows you to mix and match all the storage units to create a storage wall completely bespoke to your storage needs. 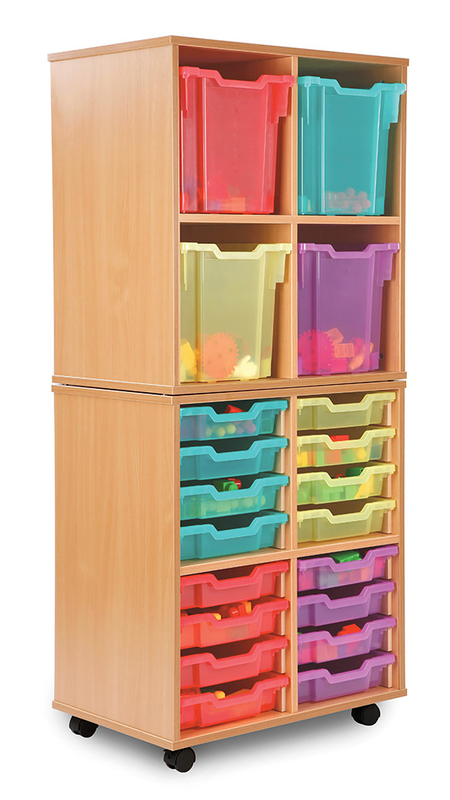 All stackable units are supplied with castor feet so you can have your unit mobile or static, also included are connecting pins for stability when stacking. Constructed from 18mm MFC in a modern beech colour with protective PVC edging. 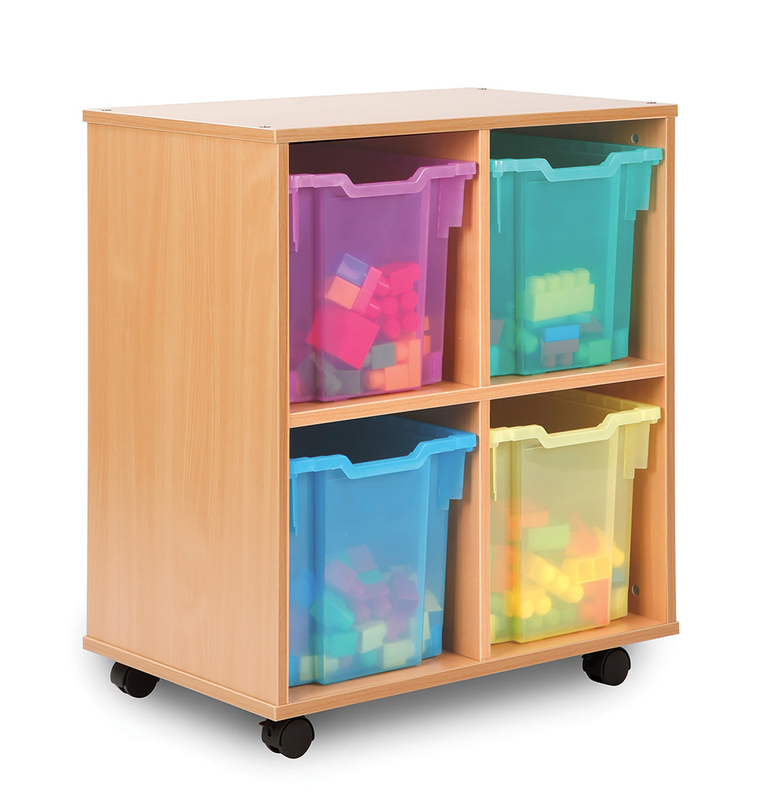 The jumbo tray size means you are able to store larger items such as toys, within the Allsorts range there is shallow tray storage, deep tray storage, shelving and a big book holder.